Hubert Lignier 2000 Clos de la Roche, wow what a wine! 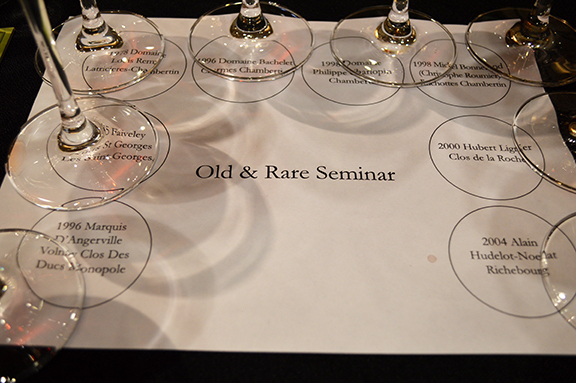 What a thrill for me to get to taste the above flight of “old and rare” Burgundy that Master Sommelier Jay Fletcher had selected from the Guild of Sommeliers for the Boulder Burgundy Festival 2015! Check out the wines and the vintages in the image below. 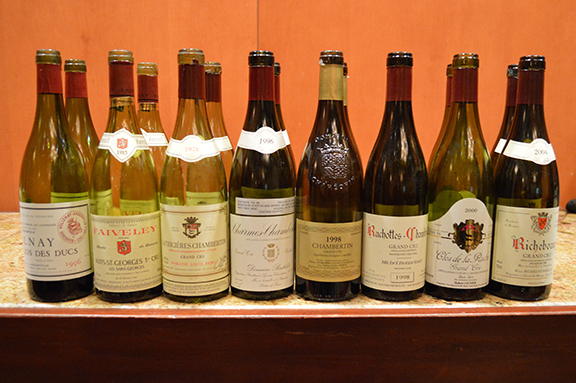 Even with such an embarrassment of riches, I still had some favorites in the line up: the Hubert Lignier 2000 Clos de la Roche and its layers of fruit and spice really blew me away. Not much time to post this morning as I head out to yet another day of tastings and meals. Today starts with a “Paulée-inspired” lunch at the Flagstaff House and ends with dinner at Frasca and a vertical of Bonneau du Martray.